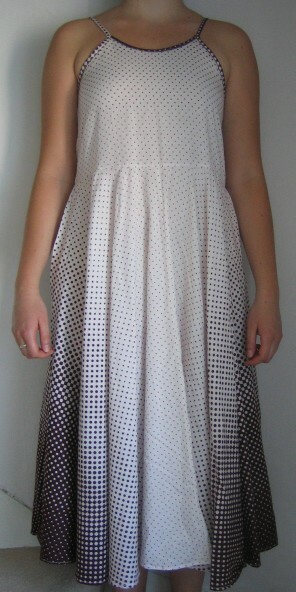 Vintage 1950s brown and white spotty sundress . 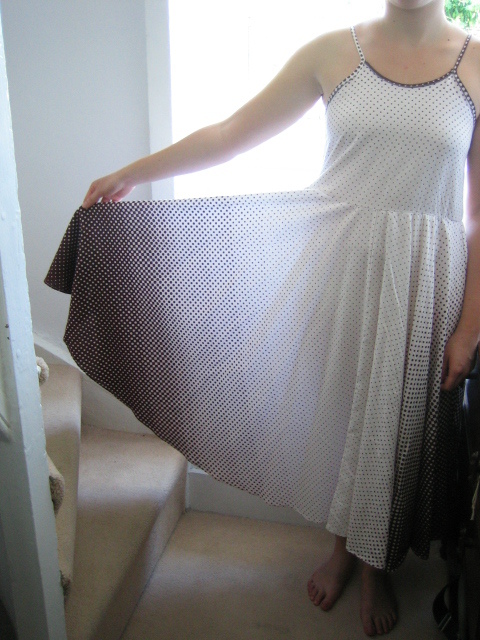 This gorgeous dress has spaghetti straps and a very full skirt. 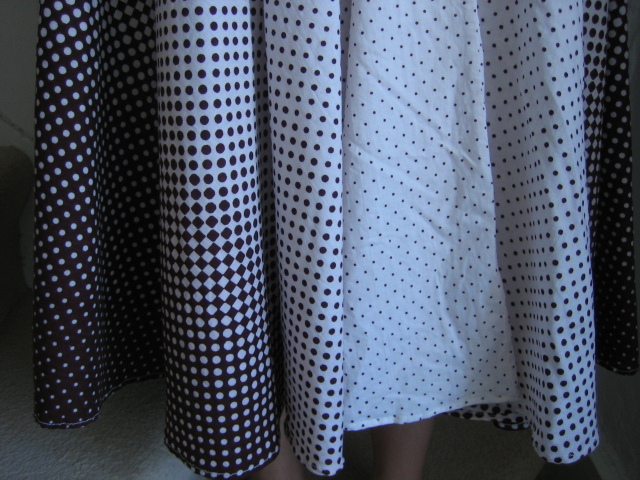 The pattern is various sizes of polka dots on a plain ground, which fade from brown on white to white on brown. It appears never to have been worn. 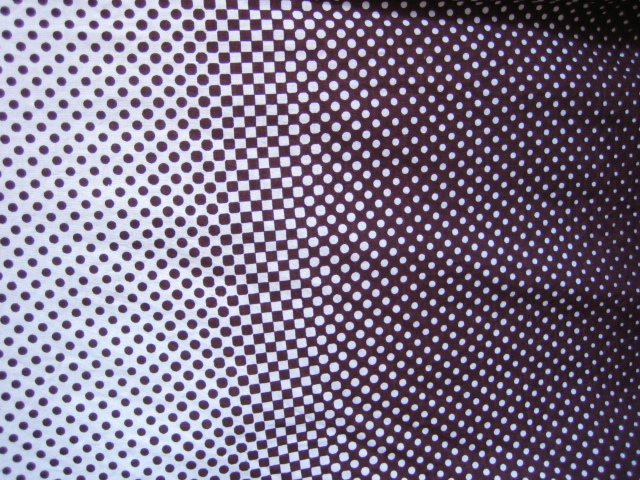 The fabric is cotton, or possibly a cotton-mix. It is very well made, with all the edges properly finished, and just the thing for the summer holidays - cool, floaty and light, but eminently decent! This is almost an A-line style, falling straight to a seam above the waist and then billowing out with a full-circle skirt in a style so wearable, it has remained in vogue today - so don't keep this just for vintage events! It is an approximate modern style 10, although basically free size except for the bust. It is in 'as new' condition. Approximate measurements are: underarms 34 inches (86 cms), waist 34 inches (86 cms) , length from back of neck 40 inches (101.5 cms), circumference of skirt 216 inches (256 cms).